your compliments will go way long. I have a bad hair fall!! Having a Hairfall that breaks your heart????? Ain't it breaks your heart to see your beautiful hair falling off your head? Well, it does break my heart to see those lovely strands of hair on my pillow, comb and washroom sieve. 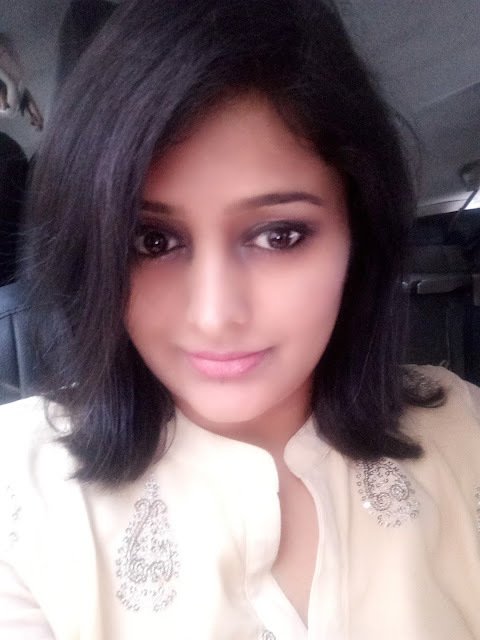 Given Mumbai's high humidity and the jam-packed life, hair fall and damage is one of the lifestyle disorders that a lot of girls/ women battles on a day-to-day basis. I am no different. My once upon a time, the crowning glory, my hair are no more strong and silky. Hair fall has cast a bad eye on them and I am losing my precious hair by every passing day. I have checked my diet and found it fine. It is not the diet but my fast paced lifestyle laced with heavy duty hair styling and lack of sleep that is causing the damage. We cannot stop the lemons that life throws at us and no matter how much we plan to make a nourishing lotion from that lemon and apply on our face and scalp, it remains an unrequited dream in our "forever on the toe" life. Solutions are many but nothing is effective unless you have a good OCC regime i.e. Oiling, Cleaning and Conditioning. The regime begins at properly following the OCC mantra on a regular basis. and it ends with using the right product for your hair. Blame the monsoon or the hard water, post my hair smoothening process, I was experiencing extensive hair fall. I went to my hair stylist and asked to cut my hair short to achieve some volume but that wasn't helping much. 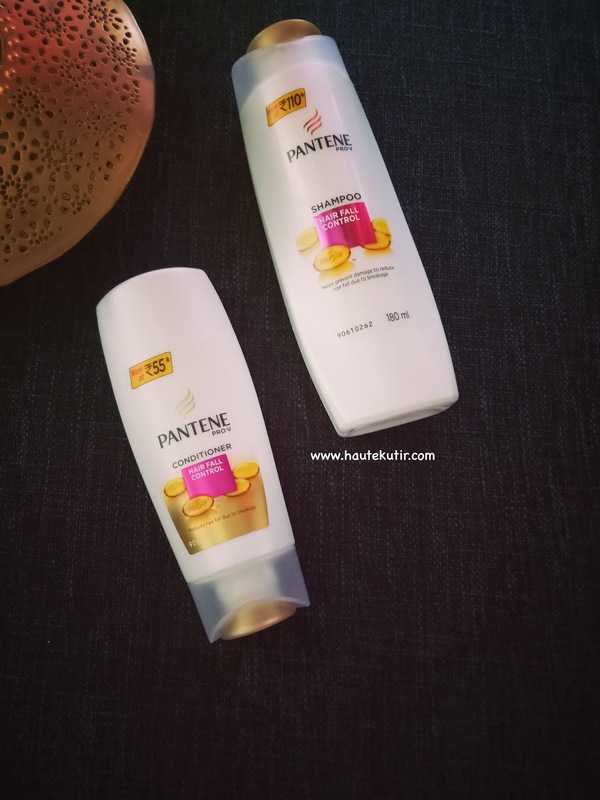 It is then I decided to take the Pantene 14 days challenge to reduce hair fall. They promised to bring a new, improved solution to reduce hair fall, make them look luscious and smooth too. Now they have all the ingredients to tempt any girl. Hence I complied. The brand sent me the bottles of the new Pantene Pro-V shampoo and conditioner along with another competitive brand in an incognito bottles. I found trying it easier than doing a head stand. 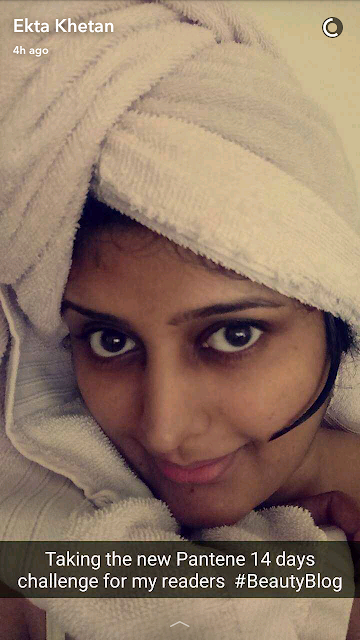 Lolz..
As per the instruction, I separated my hair into two equal parts and used the products. It felt messy but a small price to pay to prevent hair loss. My hair at both sides felt good and ok. However, I could not see any reduction in the hair fall. Baah! empty promises. I thought and left the shower. My hair did felt good and if you follow me on snap chat [@ektakhetan] you would have seen how my hair looked post the wash and after getting dried too. Once my hair wee completely dried they felt better and looked shinier. I could see the volume and the beauty are- it made my hair cut looked prominent and in the place. Whereas the hair from other side felt shabby and I shampooed them with Pantene Pro-V, the very next day. 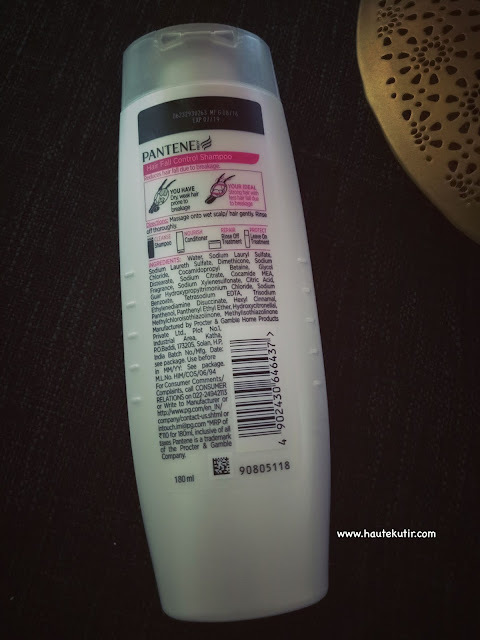 Since I have used Pantene in past and it has always come to my hair rescue, I decided to give it further try and complete my challenge. my hair fall is not 100% gone though but it has been reduced to a good extent. Dry Scalp: I have a dry scalp and the shampoo in the bid to clean, makes it further dry too. You can combat this situation by diluting your shampoo in a little quantity of water before applying on your head. 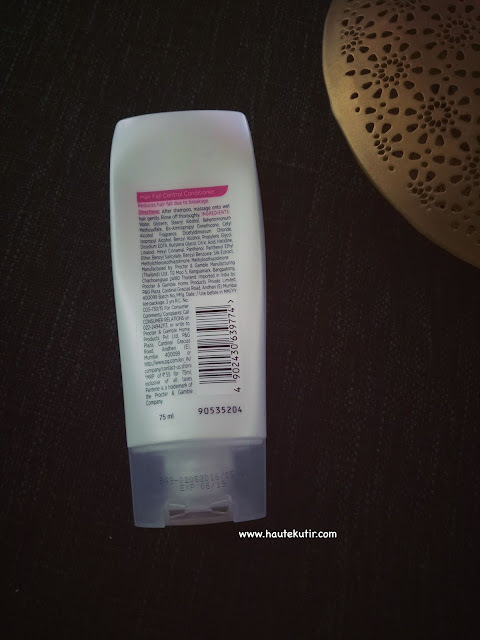 Packaging: It comes in sturdy tube packs and easy to carry/use. Pricing: Shampoo 110 INR for 180ml; conditioner 55 INR for 75ml. 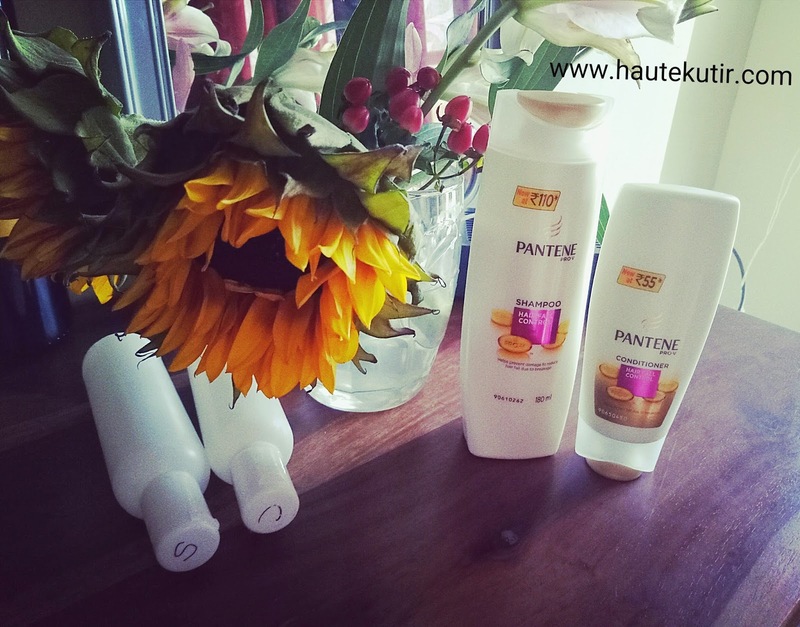 Haute Kutir Verdict: I am a loyal Pantene user. I have been using their products even before it was launched in India and have a distinct liking for them. I like them for the sheer fact that they make my hair look good, feel happy. The new Pantene Pro-V does help in combatting the hair fall. Not just that my hair, as I mentioned feels bouncy and good. Do take the Pantene Pro-v 14 days challenge and let me know if it worked for your hair. It is a cosmetic product and is for external use only. It is an alternate and not a complete solution. In case, of heavy hair fall, you may like to see your nutrition as well. Look at my Pantene- "no styling tool used, no potion applied" Hair. All I did was to paddle brush my hair and step out for a beauty launch event in Mumbai.